Go to the Authorization tab. For the authorization type select Basic Auth. 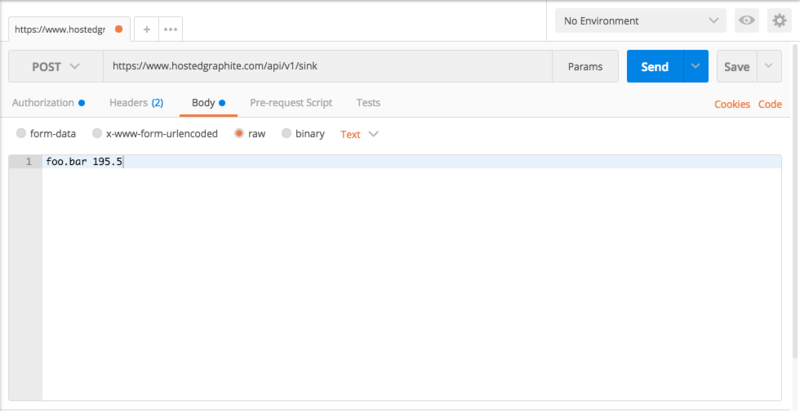 In the username field, enter your Hosted Graphite API key. Click the Send button to send your datapoint. When your datapoint has been sent successfully, you will receive a response with status 202 Accepted.